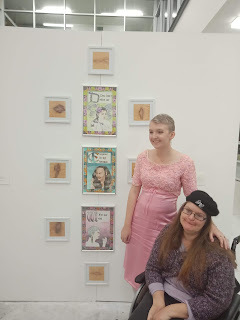 Doodles and Dribbles: ndis - What do you mean you work as an artists? So you're an artists? . . . What does that mean? Recently I have been interviewing for support workers to join a support team I self-direct. 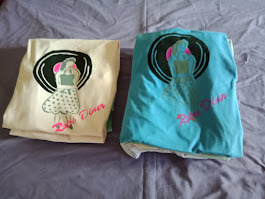 In my advertising I clean state I am a visual artists seeking support staff who can empower me to achieve my ndis goals. A process that has lead me to a very diamantic and diverse support team. However, I was flawed in a few interviews. Especially one who announced her daughter was an artist, only to discover she was six years old. Many people do not comprehend the value of art development nor understand the complexities of their job description. An artist might be a performer, musician, writer or a visual artists like myself. Julia has worked magic in bringing my practice into the spotlight with her knowledge of social media, she also understand my craft and the processes of its creation. 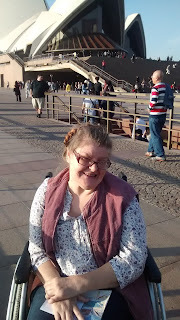 She is an exciting part of a support team who enable my to nail my ndis goals. The ndis designs participants plans based on their elected goals. My goal in my first plan was to extend my visual art practice and I was funded accordingly. However this has not been the overall experience for artists with disabilities transitioning to the ndis. Many have found the ndis plan longer funds the attendance of a Supported Studio. 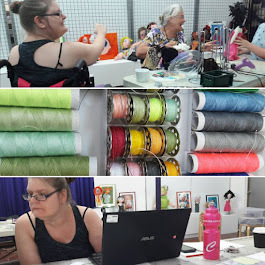 My 'day job' is the Manager of Ignite Artists, a business that supports the professional artists living with disabilities and fosters the development of an inclusive art community in Ipswich. Ignite forms part of a Supported Studio Network across Australia. 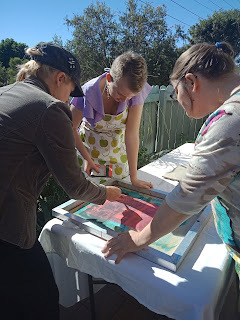 A Supported Studio supports artists with disabilities to produce, exhibit and market the work. Traditionally these studios support visual artists with intellectual disabilities under the state governments funding system for a disability support service. However the ndis funding structure puts the viability of all Support Studios at risk. In fact the ndis' fee stucture puts all small to medium service providers at risk. The ndia has failed to recognise the specialised service our studios offer and to value that artists are self-employed professionals. Unless artists are funded as being employed that are not receiving funding for either a specialised studio art support person or to attend a Supported Studio. This has been a concern for the Support Studio environment ever since I began to engage in the sector in 2014. 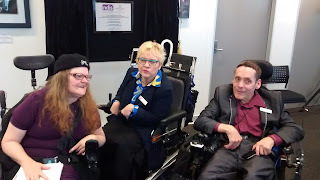 The ndis funds supports to reach education goals, employment goals, sporting and recreation goals, community living goals, thready goals, but not artist's goals. Like the rest of Australian Society the ndia do not value the writers, performers, dancers, musicians and visual artists. Residents are happy to attend galleries, visit the theatre of art festivals, or rock concert, but generally under estimate the production costs. There are very few artists that can put food on the table. In general artists are meet with disbelief, Attending social functions is always interesting. So what do you do for a living . . "I a writer." After a bit of a scuffle. "Please don't put me in you next book or play. . ."
Or " . . . A an artists, I paint landscapes." . . ."Umm! Arrh! So what do you for a living?" Creative people are often greeted with mistrust and rarely paid an hourly rate for their craft. This attitude is reflected in the ndia failure to recognize the arts employment and a refusal to work with art organizations to set a fee structure to support participants who engaged in the arts. These attitudes filter down to Local Area Coorndiators, who understand little about the production of various different types of visual arts and thus fail to argue for much needed support. If the ndis is about choice then they need to valid participants, their skill and their choices even if that is too be a professional artists. I am very blessed the the Ipswich Area Office Manager is a art love and collector who knows the art market inside out and supports local artists. If you wish to support artists living with disadvanage you might like to make a donation to Access Arts Queensland; Arts Access Australia; or Arts From The Margins. Or a studio in your state. 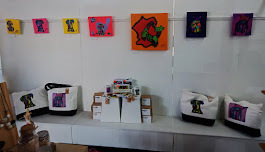 You can also support an artists with a disability by buying their artwork and I am sure these organations will be delighted to put you in touch with their artists. 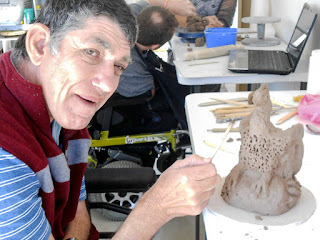 Labels: #ndis; #ArtsAcessAustralia; #funditandfixit; #supportedstudios; #artistwithdisablities.